Two men, two queens, one surname….and a girl. Have you noticed the way that one name will repeat itself throughout a period of history. The Norman period is littered with women called Matilda. Bizarrely the same is true, in the reign of Elizabeth I, of the name Throckmorton. The two men are Nicholas and Francis Throckmorton; the two queens Elizabeth I of England and Mary Queen of Scots. Nicholas Throckmorton was a Tudor courtier and loyal ambassador to Elizabeth as well as being Francis’s uncle. Francis was a Catholic conspirator who plotted to assassinate Elizabeth and put Mary on the throne. Nicholas Throckmorton was also Catherine Parr’s cousin so first met Elizabeth when both of them were in the Dowager Queen’s household. Young Throckmorton navigated the rocky whirlpool of Tudor politics because of his Protestant sympathies and because he was able to become one of Edward VI’s advisors. He went on to become and MP and undertreasurer at the mint which was at that time in the Tower of London. He got to know the Tower much better during reign of Mary when his protestant ideas got him into trouble. Eventually he went to France. After Elizabeth’s accession his fortune’s changed once more and he found himself in France not this time as asylum seeker but as Elizabeth’s ambassador where he met Mary Queen of Scots. It was he who helped arrange her journey back to Scotland after she’d been widowed. In 1565 he was sent as ambassador to Scotland. His task was to prevent Mary, by now a personal friend, from marrying Lord Darnley. He was in Scotland once more when Mary was overthrown. He found himself in the predicament of irritating touchy Scottish lairds and annoying his famously tetchy queen. It didn’t help that Elizabeth sent him one set of instructions while Cecil sent a different set of instructions. He was probably relieved to return to England – where he leapt from the proverbial frying pan straight into the fire stoked by Mary Queen of Scots. He became involved with the plan to marry Mary to the Duke of Norfolk in 1569. This led to the Northern Earls Rebellion and to Throckmorton spending an uncomfortable few weeks in Windsor under arrest while Elizabeth fumed at Throckmorton’s stupidity. He claimed that he thought that Elizabeth was in favour of the marriage. He escaped trial and imprisonment but he wasn’t allowed any more key political roles and certainly wasn’t allowed anywhere near the Scottish queen. On to the the second Throckmorton. In 1583 there was a plot to assassinate Elizabeth; at its heart a man called Throckmorton – Francis was Nicholas Throckmorton’s nephew. He was also very Catholic. 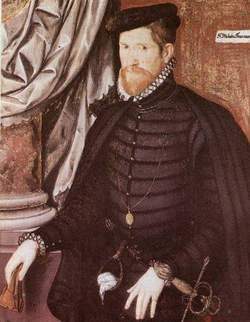 Francis Throckmorton had been recruited by the Spanish to kill Elizabeth at the same time that Henry Duke of Guise invaded England (funded by the Spanish.) It was the discovery of this plot that led to the Bond of Association which stated that it was sufficient to know of a plot to kill the queen or usurp the throne to be guilty of treason – as in, guilty by association. Francis was tired and found guilty after making his confession which was gained by torture. He was executed for treason. …And the girl? The girl is the other famous Tudor Throckmorton. 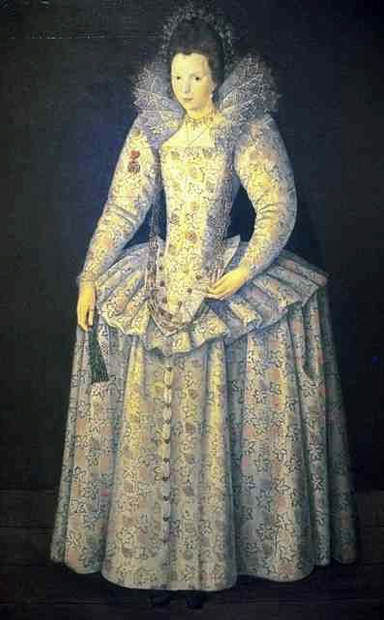 Bess Throckmorton was Nicholas Throckmorton’s daughter and Francis’s cousin but she is more usually remembered as the lady-in-waiting who fell in love with and married Sir Walter Raleigh much to Elizabeth’ s irritation. This entry was posted in Mary Queen of Scots, Queens of England, Sixteenth Century and tagged Bess Raleigh, Bess Throckmorton, Bond of Association, Duke of Norfolk, Francis Throckmorton, Mary Queen of Scots, Nicholas Throckmorton, Northern Earls Rebellion, Sir Walter Raleigh by JuliaH. Bookmark the permalink.